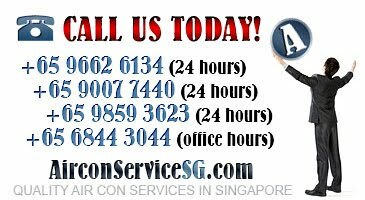 Aircon Singapore: Why Is Ice Forming On My Air Conditioner? Most of us locals would own an air-conditioning unit/s, or dealt with one in our home/s, at work or at some point of time. And when we do have air-conditionings in our house, offices, we will at some point have to deal with the mechanical issues of one (like any other machinery). There are many problems that occur with the air-conditioning, especially if it is on high usage and if it is used for a long time like an older A/C unit. There are a few common problems such as, leaking of the A/C unit and the air-conditioning not cooling the room enough (not enough/no cool air). 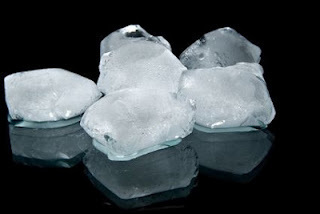 But there is another problem that we like to highlight on the issue of the air conditioning forming ice and why. There are many factors that could cause the air conditioning to ice up, that ranges from faulty parts, insufficient ventilation around the A/C unit, to rigid outdoor temperatures and low refrigerants. When this happens, it is highly recommended to call your friendly A/C professionals to come and assess the actual and find the root of the problem of the freeze/ice around the A/C unit. There a few simple DIY (do it yourself) steps one can take to avoid the A/C to stop operating due to the formation of ice or continue any further freezing. One easy way to do it is to check the filter of your air-conditioning, because a filthy filter is one of the reasons why the a/c forms icing and freeze up. If your air-conditioner is a placed in busy environment, or prone to loads of dust in the air like office spaces, then clean it frequently. It is recommended to clean the filter every fortnightly (2 weeks) or so, but if the A/C is in such environments mentioned, then it should be more frequent than that. You will also need to find out if there is suffice amount of refrigerant. This is one of the common causes of ice forming and freezing of the A/C unit. When the refrigerant levels gets too low it can cause the already cold coil to be too cold. Not enough or over load of refrigerant does causes the built up of ice and freezing of the air conditioning. If you have any suspicions of the wrong amount of refrigerant, then you’d have contact your friend A/C professionals to fill up the refrigerant, and fix leaking of it, if any. For humid weathers like ours in Singapore, the A/C will condense a lot of the water vapours into fluids that should proceed to be drained on the outside. When the water builds up in the drip pan below the cold coil of the A/C unit, then it will begin to ice up/freeze. Then that ice will block the drain hole which in return will cause plenty of problems to your unit. One more thing one can DIY is to unplug the main A/C and let the forming ice melt away out for a day (24 hours), but this is and can be a dangerous task to do. So please note to prevent and put oneself out any risk that it is a must to shut off the main electrical supply that goes to the A/C. Or to be on the safe side, it is best recommend getting your professionals to do this for you.